Virginia Attorney General Mark Herring, in a new opinion provided to Del. Mark Levine, now says it will not require an act of the General Assembly to change the street’s name. In a change from previous legal opinions, Herring said a 2012 law changing broad street naming policies gives the Commonwealth Transportation Board the right to override the names of major roads set by legislators. The General Assembly put Davis’s name on U.S. 1 in Arlington in 1918. Arlington County leaders have hoped for several years to change the name to Richmond Highway. Alexandria, which has more power over street names due to its status as a city, recently made the change. Parts of Route 1 in Fairfax County are already known as Richmond Highway. The Commonwealth Transportation Board consists of 17 members from across the state appointed by the governor, including the state’s transportation secretary. 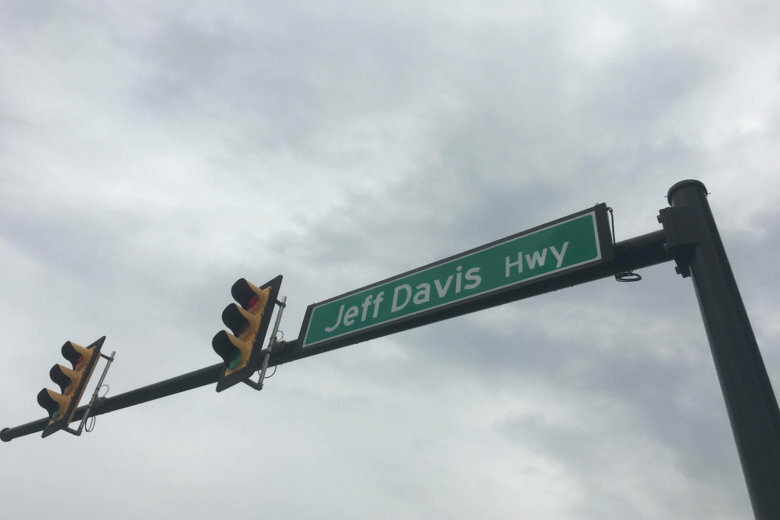 Herring’s official advisory opinion concludes the board may change the name of Jefferson Davis Highway in Arlington County as long as the county board passes a resolution requesting the name change. Arlington legislators in Richmond believed any effort to change the name in the General Assembly would be futile since Republicans control both chambers. All 140 seats are on the ballot in November.